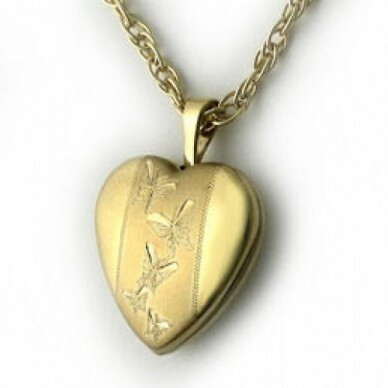 A sweet heart shaped 14kt gold filled locket, two tone with engraved graceful butterflies on the front. 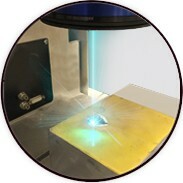 Measures 5/8" across. 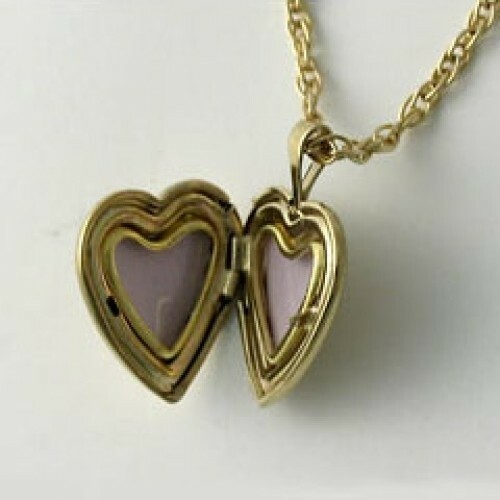 Perfect for a child's first locket. The classic, feminine engraving will be treasured for a lifetime.